I've been a Vulcain admirer for a long time. My first dive into the brand happened when I was starting to learn more about mechanical alarms, my favorite complication. I was fascinated by the JLC Memovox, but when I learned that Vulcain was the first one to successfully develop a wrist alarm, I decided I needed to own a vintage cricket. After a few months and several WatchRecon, Chrono24 and eBay searches, I finally found one that seemed to be in decent shape. Tried to make an offer to the owner, which I believed to be very low. To my surprise (and absolute bliss), he accepted. And then, I had my first Vulcain - a vintage Cricket from somewhere in the 60's. It was in fantastic cosmetic shape, but needed a service badly. After a few months, off it went. Today, the cricket is chirping, and it's chirping loud! I love to wear it from time to time! Fast forward to earlier this year - I was going through a big change in my life, and I was looking for a special all-around watch to mark the moment. 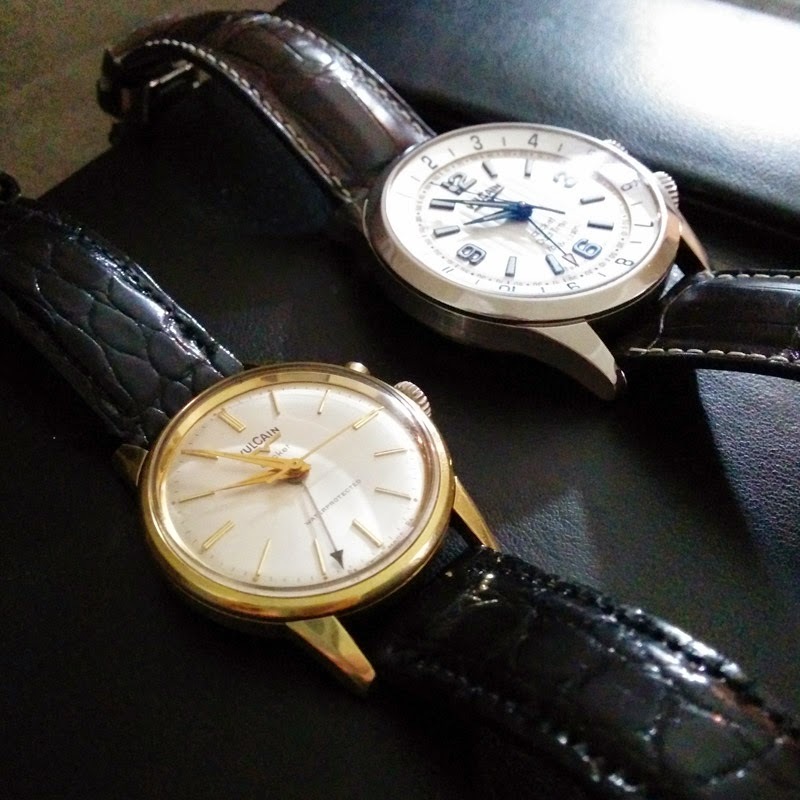 A watch that was modern, unique, useful, but one that had some of those particularities that only a WIS would truly appreciate. That was when I learned about the modern Vulcains. I was mesmerized, and found in the Aviator model the watch that had it all - classic mechanism in modern clothes. A display caseback so I could appreciate the inner workings whenever I wanted. A nice dual-time bezel - a very simple, yet incredibly useful complication. Blued hands/screws/dial inserts - you have to be a WIS to love this one. Above it all - it is a Cricket, and I have to wind it every day - I just love manual wind watches. I couldn't resist! Honestly, still can't.